I was thinking it would be nice to have a thread where we can share images and thoughts of some of the best early magazine treasures we have in our personal libraries. I'm not talking about reproductions, but only the original magazines. I'm myself mostly interested in SF, but weird fiction and fantasy are also welcome here. I was thinking of this, as I've obtained a few old magazines in my time, and enjoyed reading them, but also just for the collecting aspect. This thread was inspired in part by a recent purchase I've made of some classic pulps. For those who don't know, the 'Golden Age of Science Fiction', so called, is often-times cited as beginning in July 1939, with the publication of Astounding Science Fiction that month. Campbell took over Astounding in October 1937, but didn't get full editorial control until March 1938. 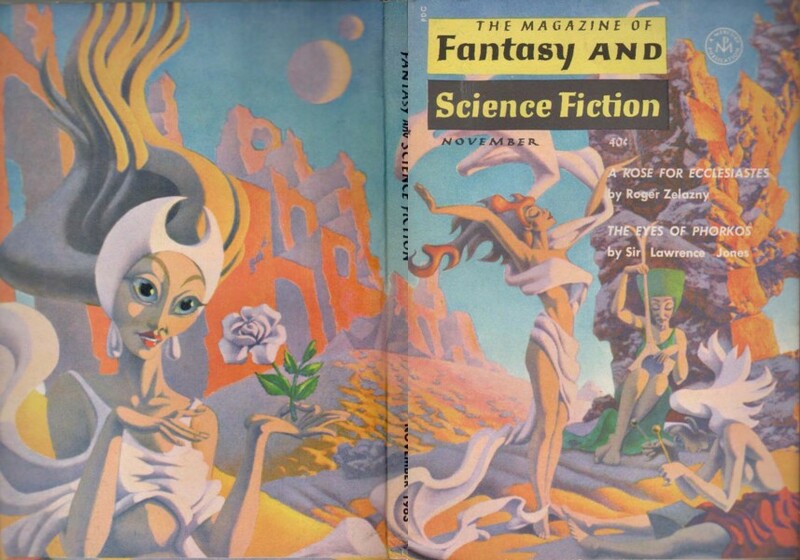 By the time 1939 swung round he had turned around the ailing magazine was starting to see new authors submit their first pieces to him, and he started to publish many of the greats of SF from mid-1939 onward. The July 1939 issue of Astounding contained van Vogt's first sale (Black Destroyer - later the be part of Voyage of the Space Beagle) and Asimov's first sale to Astounding (and only his second sale ever), Trends. 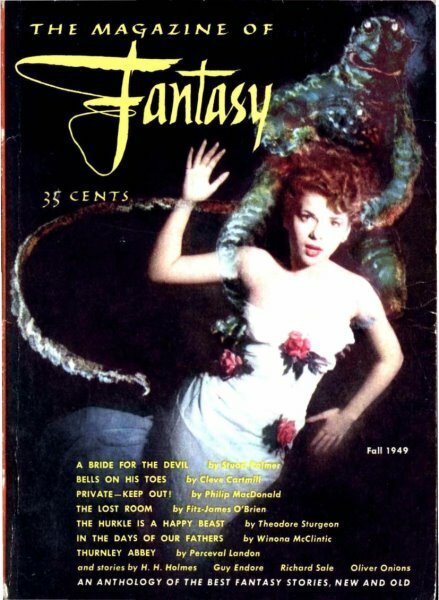 The following month, August 1939 Astounding saw Heinlein in print for the very first time (Lifeline) and in September 1939 Campbell published the first story by Sturgeon (Ether Breather). October saw the serialization of E.E. 'doc' Smith's Grey Lensman. These were the heady days when Asimov and Heinlein started to meet with Campbell regularly for chats and publish frequently. * Aesthetic value to me, they are price valued at exactly what I paid for them. Galaxy Science Fiction ran from 1950 to 1980, and like Astounding I find the early issues to be quite 'collectable'. A lot of the top authors published frequently in Galaxy of course, including Simak, who placed a lot of his best work in the magazine. This only just squeaks into this thread, as it's almost not old enough and not really classic enough, but what the hell, I really like it. Incidentally, for the purposes of this thread, I consider 'early' magazines to be 1960's or earlier (but preferably 1950's and before). The "Golden Age" was 1939 to about 1956, after all. This particular magazine started off in 1949/1950 - I'll have to seek out a classic issue from this time at some point. Bick wrote, "for the purposes of this thread, I consider 'early' magazines to be 1960's or earlier (but preferably 1950's and before). The "Golden Age" was 1939 to about 1956, after all." Thank you for stating that clearly! I hope it can be respected. I have a couple of pre-Campbell Astounding issues from the 1930s (not in very good condition! ), a couple of 1950s issues that serialized Poul Anderson's The Enemy Stars under its original title (a favorite sf novel of mine), and a few old-enough F&SF issues I can photograph soon. One of the little projects I completed was the acquisition of the four "C. S. Lewis issues" of F&SF (two short stories and a poem published in his lifetime, plus the posthumous publication of a very fine poem). Also a few Cele Goldsmith-edited issues of the early 1960s Ziff-Davis Fantastic. It'll be fun to see what gets posted here. For some reason -- probably having to do with my weird personality -- I have always found the early GALAXY to be my favorite...maybe the stories just fit with what I wanted to read...they matched my taste? Although, come to think of it, I never saw those earliest GALAXIES until years later; my sf magazine experience began with F&SF in the late fifties. Yes, I'm hoping some great stuff comes out of the woodwork. I think it could come to be a mild obsession of mine to collect issues that are historically important. My first post here really is the kind of material I want to get more of myself, the other items I like, but are not of great historical value of course. That said, I'd be very interested to see anything folk have to share here, that are valuable to them for whatever reason. Hopefully most of what gets posted here will be no more recent than late '50's. I'd love to see scans of photos of those old magazines, Extollager. Do please post! Post a pic of the best/most interesting/earliest ones Dave! Off-topic, so please delete, moderator, if need be, but, speaking of old magazines, I wish I had the Dec. 1967 issue of the women's magazine Redbook that printed Tolkien's Smith of Wootton Major! These three issues of F&SF contain the reviews of the three volumes of The Lord of the Rings (April 1955, August 1955, July 1956). The back cover has come off my 1956 issue, so I placed it there, enabling you to see some of the celebrities who endorsed the magazine. We have special bookshelves at home that hold every issue of The Magazine of Fantasy and Science Fiction from the first one to the last issue of the 20th century, which seemed like a good place to stop. Thanks for posting those, Extollager. The January 1934 Astounding is interesting. They give the cover illustration to the story you showed us the first page to by Donald Waldrei, but the issue also also contains an early Jack Williamson, I see. The Williamson may be pretty good? Donald Waldrei co-founded Arkham Press with August Derleth by the way. (I just read that, I'm not a walking encyclopedia). Your other Astounding is July 1935, as I'm sure you know. 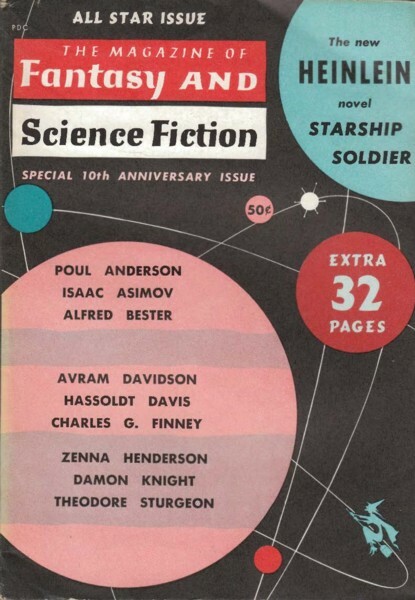 This has an Edmund Hamilton, and a letter to the editor by one Lester del Rey, who would have been 20 then, and didn't have any fiction published until 1938, so that's kind cool! The F&SF issues presumably give positive reviews of LOTR?! If I were to ask which are your most treasured or valuable (to you) from all those, which would it be? And would that be based on content, historical context, or rarity? Well, despite how it might seem, we are more readers than collectors. (Yes, I have read every one of the issues.) So, it wouldn't really be rarity. The content is the most important, and, to some extent, the history of the publication. The cover is on thicker, slick paper than other issues, so, ironically, our copy is in much better shape than most newer issues. I could pick many highlights, but here are a couple. "World of the Red Sun."